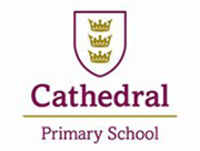 Shine offers children at Cathedral Primary School a friendly and welcoming after school club. During after school sessions, Shine utilises Cathedral's excellent, unique facilities to deliver a variety of sporting, creative and free play activities that are enjoyable and stimulating for children of all ages and abilities. Shine's reliable and flexible service also allows parents who require extended provision to book the later 'Snack & Chill' session separately and ensures their children receive a nutritious snack and a chance to enjoy some sociable free play in a supervised setting. During the first session (15:30-16:45) children will have the choice of a sporting, creative or free play activity.